If your skin is often dry and feels like it could use a good dose of hydration, this All Natural Hydrating Facial Serum is a must! I have been using this serum for awhile and really love it. The essential oils in this serum are very good for your skin and include hydrating, antibacterial and moisturizing properties. 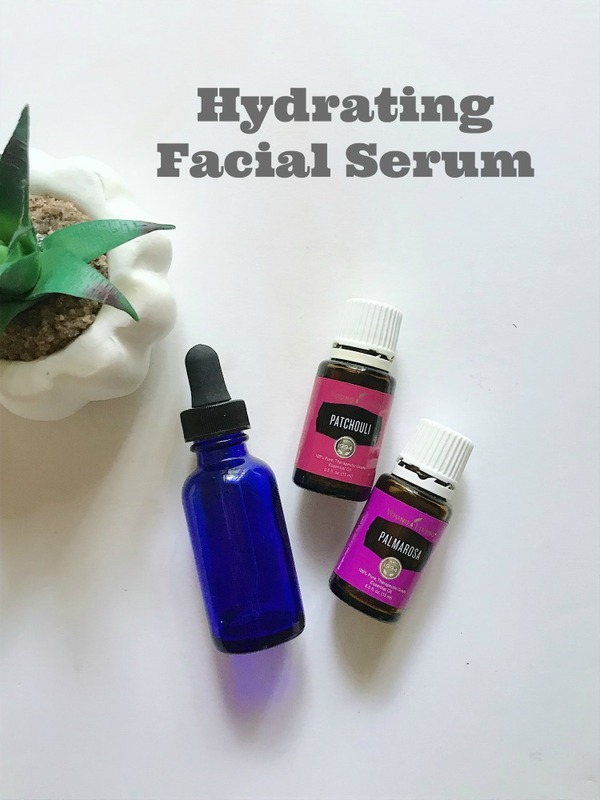 This facial serum recipe very easy to make and is inexpensive as well. The Young Living essential oils in this serum are pure and contain zero fillers and the coconut oil is organic making this serum all natural and chemical free. Sometimes chemicals can actually dehydrate your skin making some skincare products ineffective. I think you will really love this serum recipe if you give it a try! Start by gathering your facial serum items and head to the kitchen or bathroom counter. Grab your Young Living essential oils (this brand of essential oils are the only ones we use. The company has been around for over 20 years and grow/distill their own plants and oils). Add 15 drops of Patchouli and 15 drops of Palmarosa. Next, you will top the bottle off with your organic liquid coconut oil. Screw the dropper top back on, give a gentle shake and the facial serum recipe is ready to use! To use: drop 3-4 drops in the palm of your hand, rub together and tap all over face. If you are wanting to use it just under eyes, gently tap under eyes. Can be used morning and evening. When used in the evenings, it might even help you relax before bed. 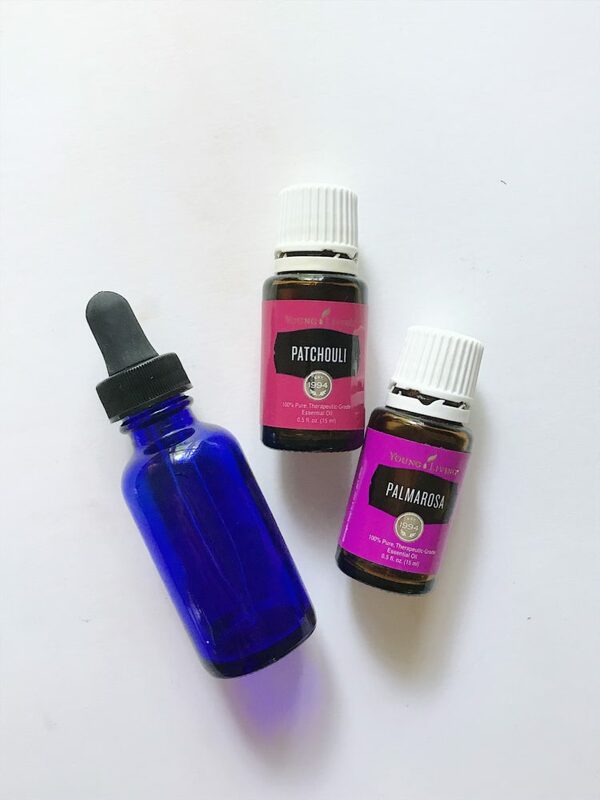 The Young Living Patchouli essential oil has a calming scent. Have you tried DIY natural remedy essential oil recipes before? 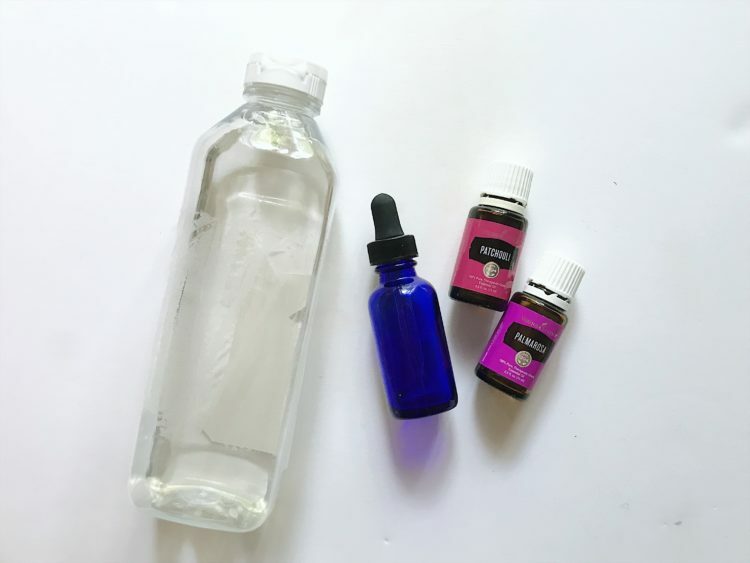 Is this DIY Hydrating Facial Serum Recipe something you think you might give a try?